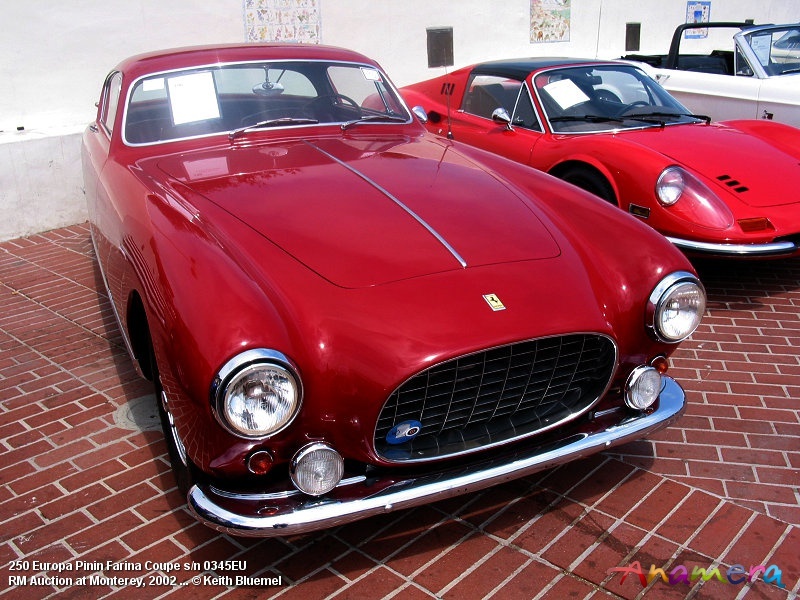 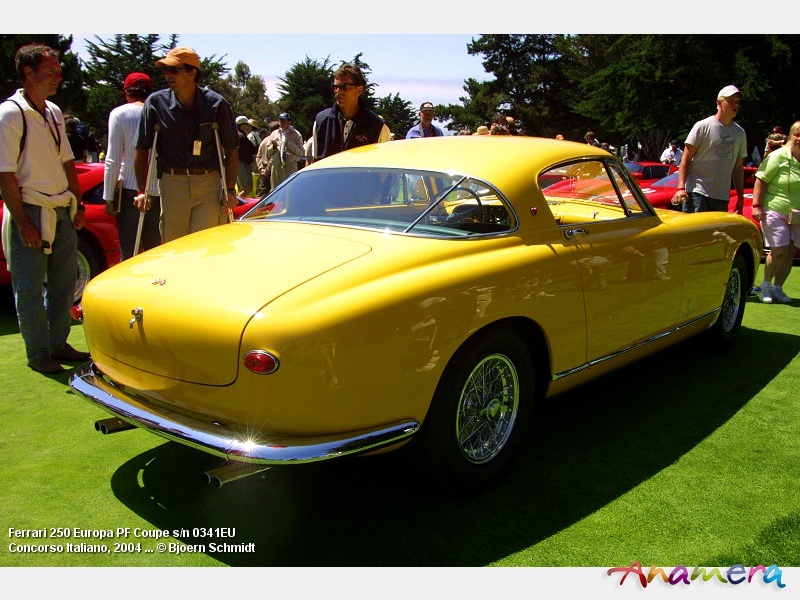 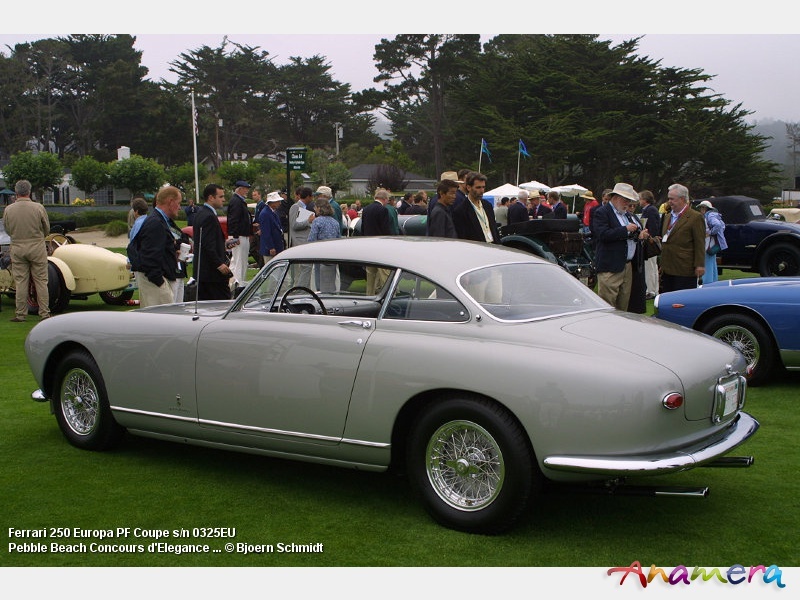 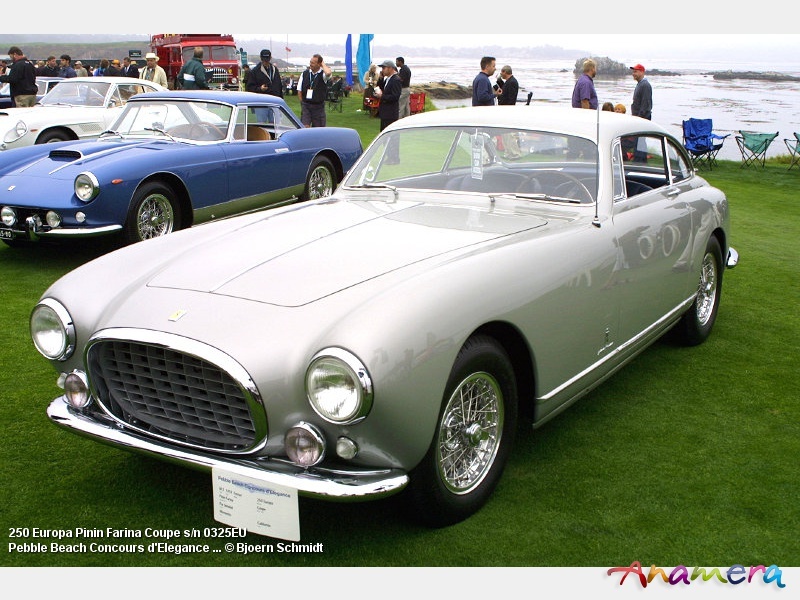 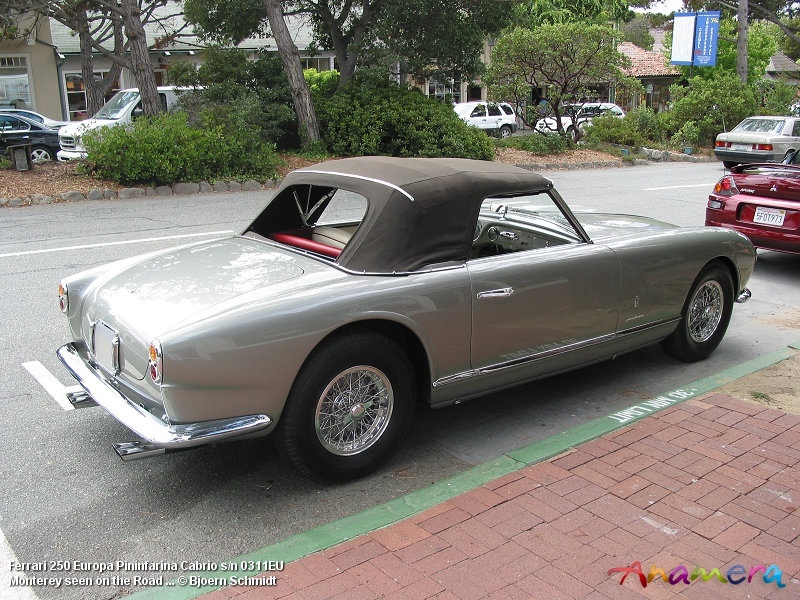 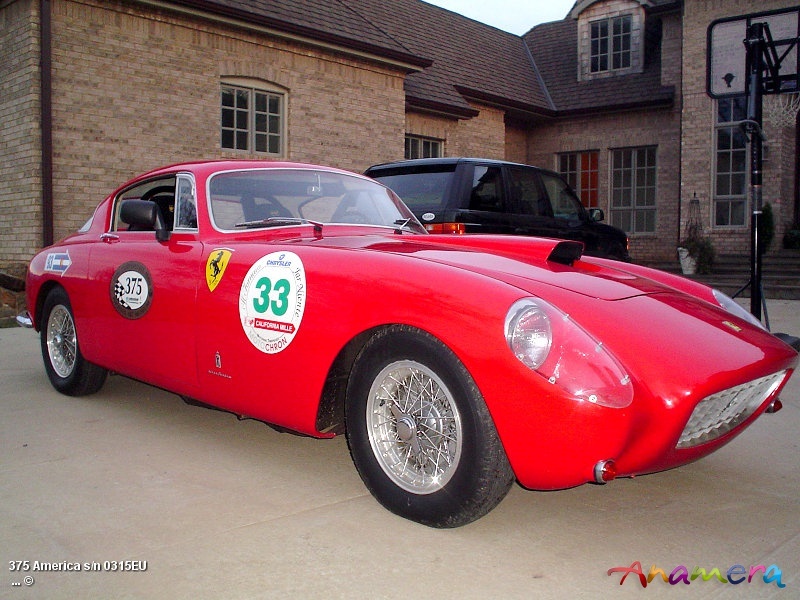 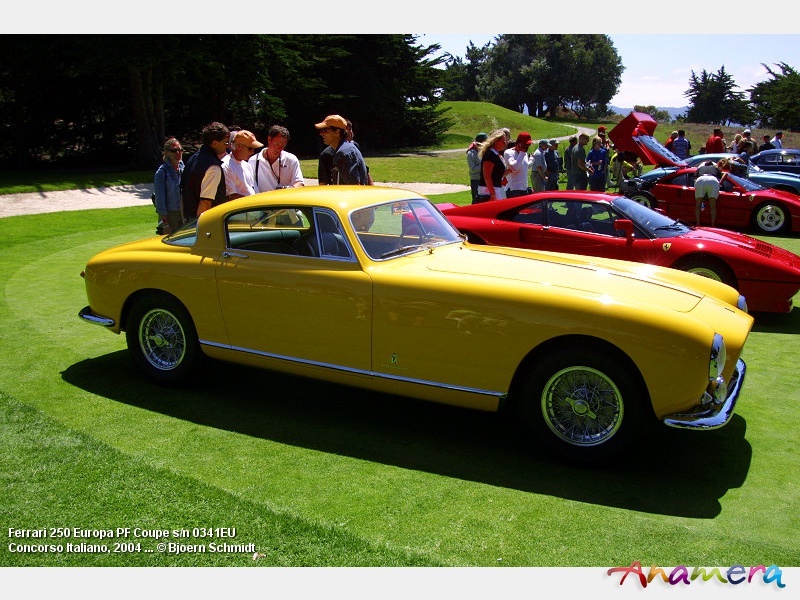 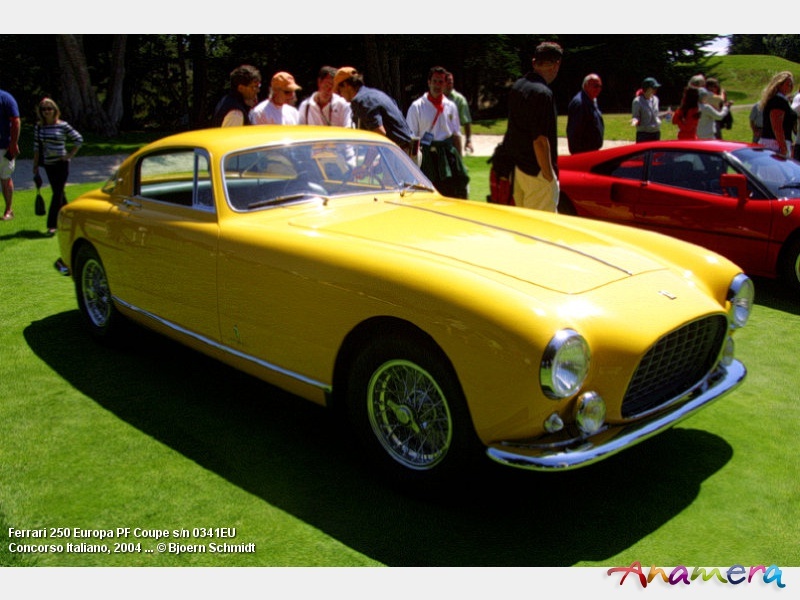 In 1953, Ferrari launched a new model as a replacement for their 212 Inter. 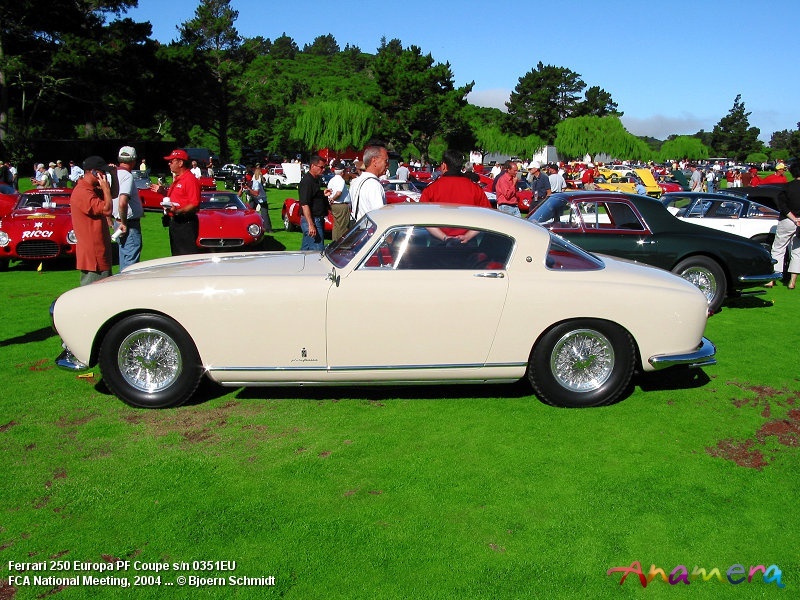 The Ferrari 250 Europa was born and presented at the Salon Paris in October 1953 together with the also new Ferrari 375 America. 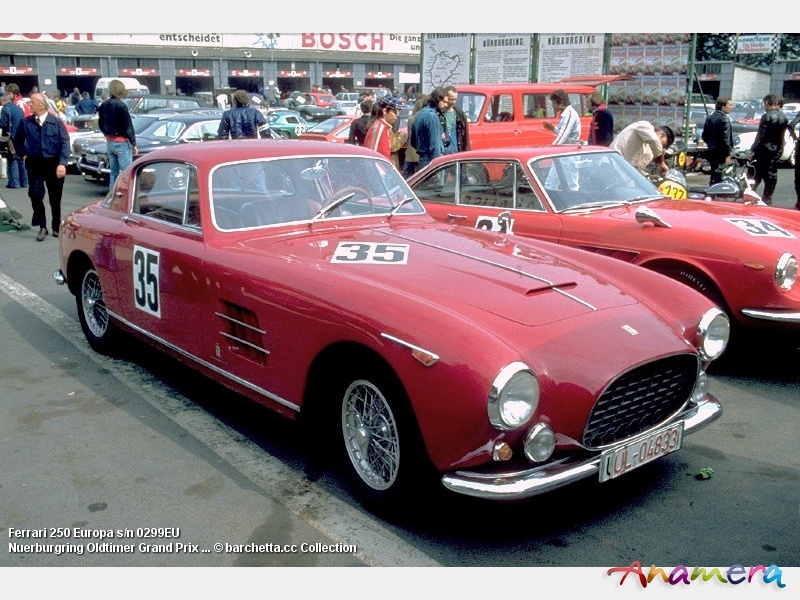 Except for the displacement of their Lampredi V12 engines both cars had an identical layout. 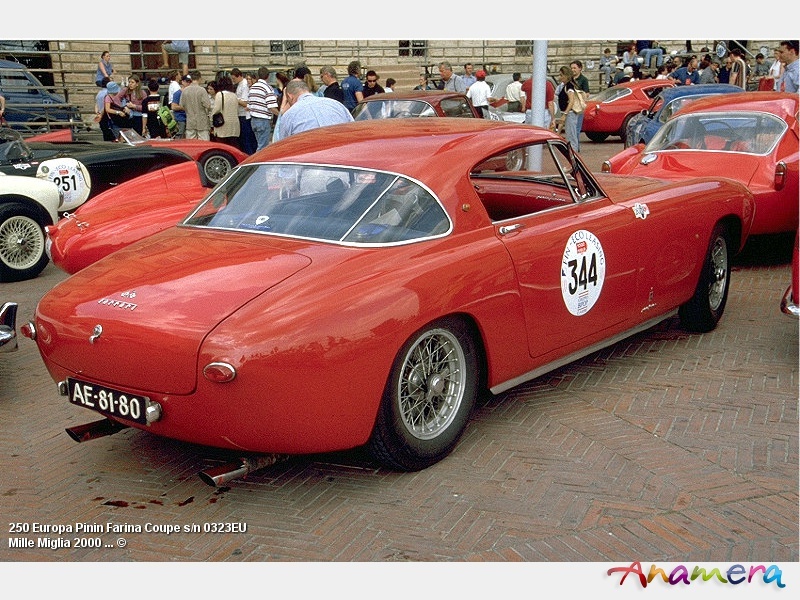 In fact at least one car, chassis 0315EU, was later converted to 375 America specs. 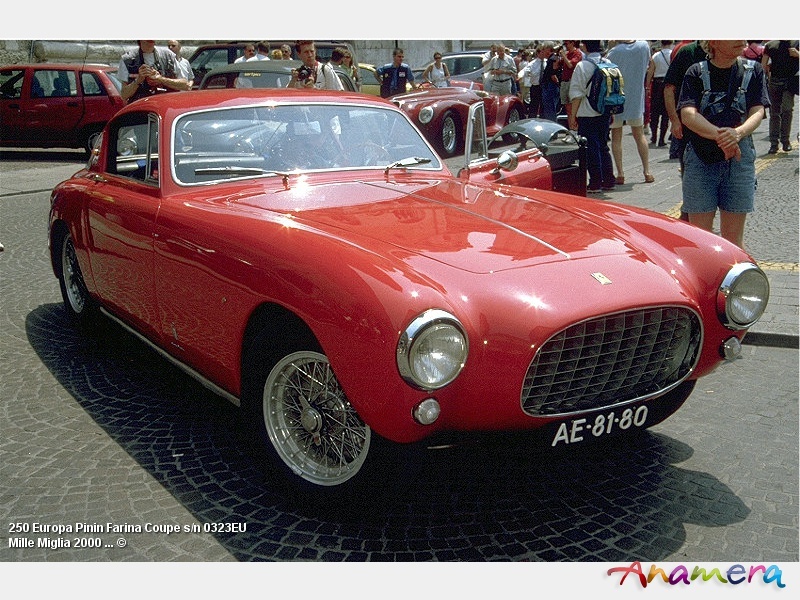 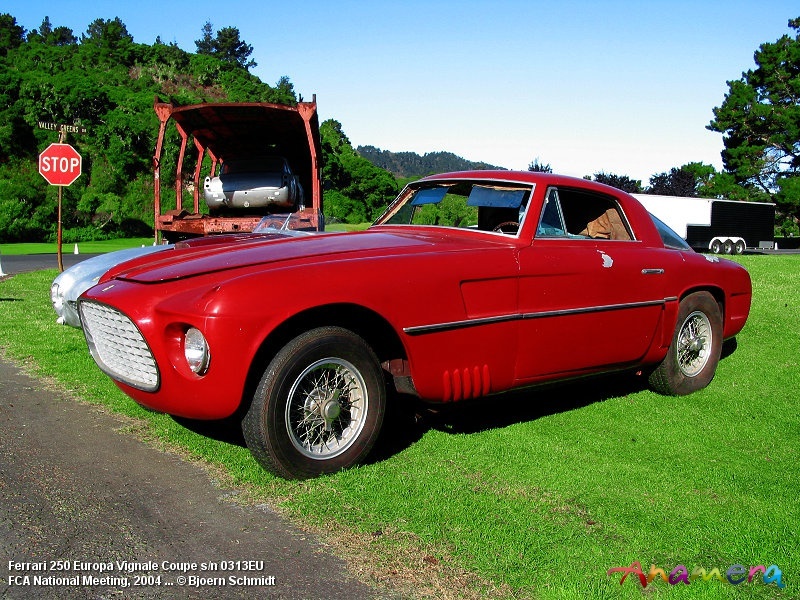 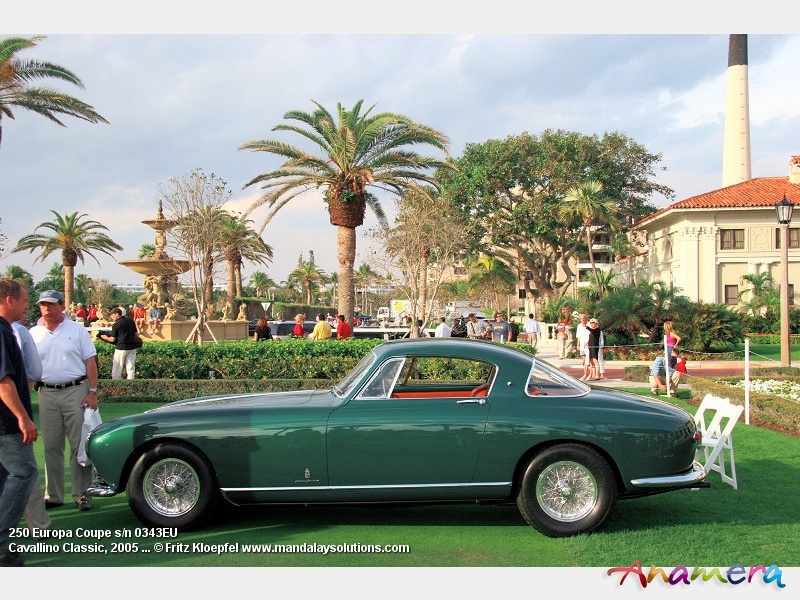 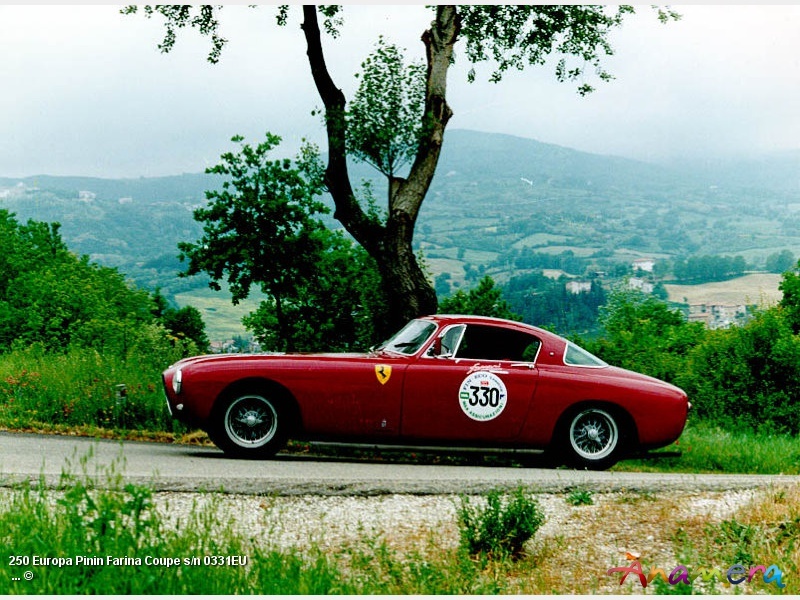 The Ferrari 250 Europa got an evolution of the 3.0-litre Lampredi-V12, which was used for the 1st time in Giovanni Bracco’s 1952 Mille Miglia winning prototype, the Ferrari 250 S Vignale Berlinetta s/n 0156ET. 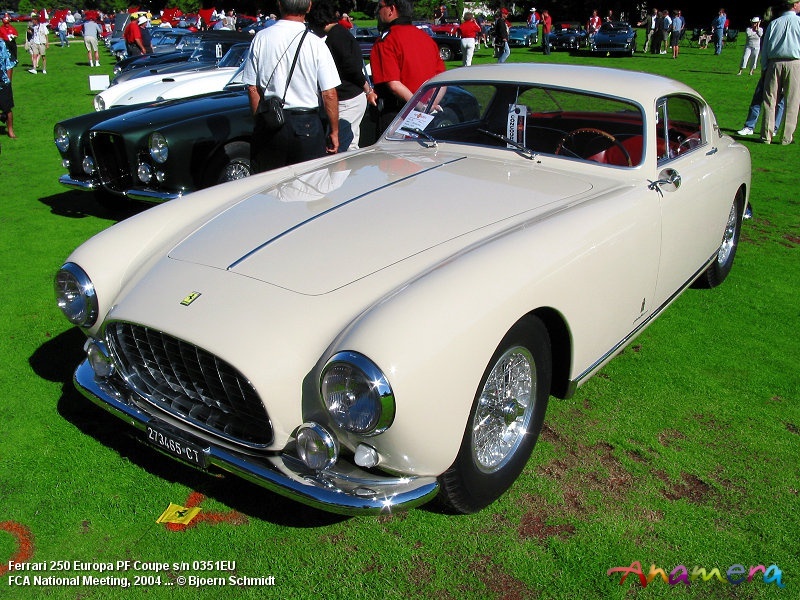 In total, 21 250 Europas were built. 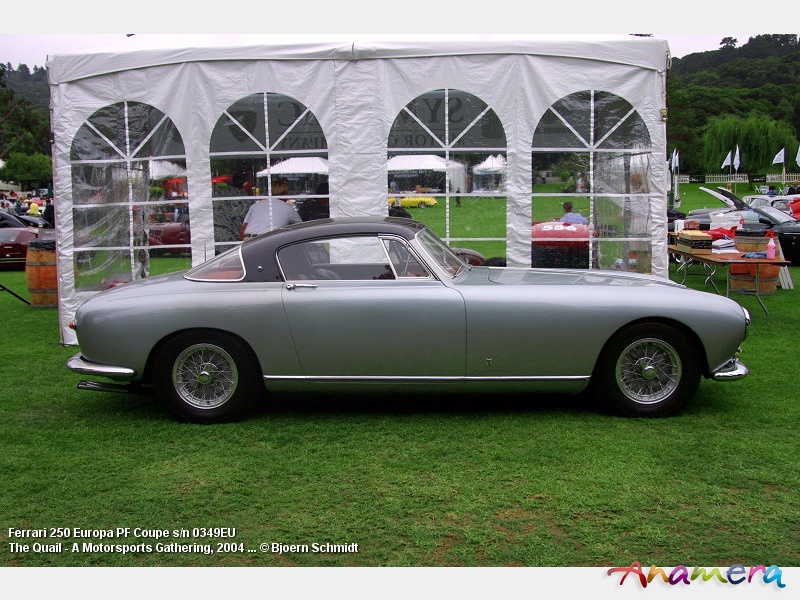 While there was no ‘standard’ bodywork as such, PF managed to complete the majority of bodies, 15 Coupés and 1 Cabriolet (0311EU). 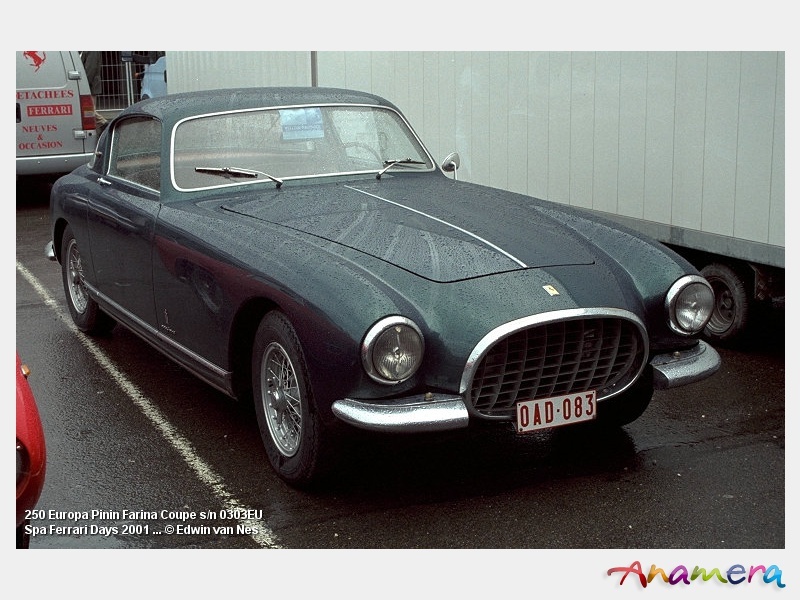 3 Vignale Coupés and 1 Cabriolet (0353EU) were built while 0347EU remained an one-off Ghia Coupé. 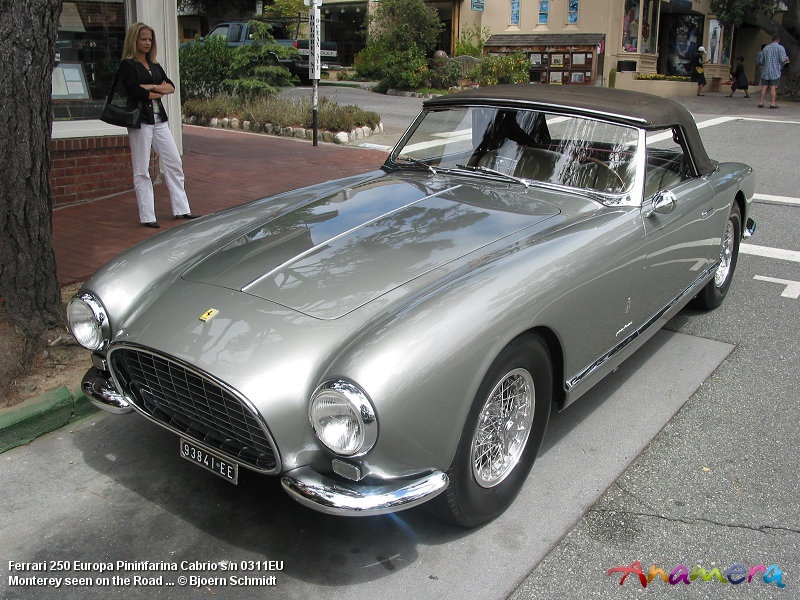 Today, Ferrari 250 Europas still stand in the shadow of its successor, the Ferrari 250 Europa GT with its new 3.0-litre Colombo-V12 engine. 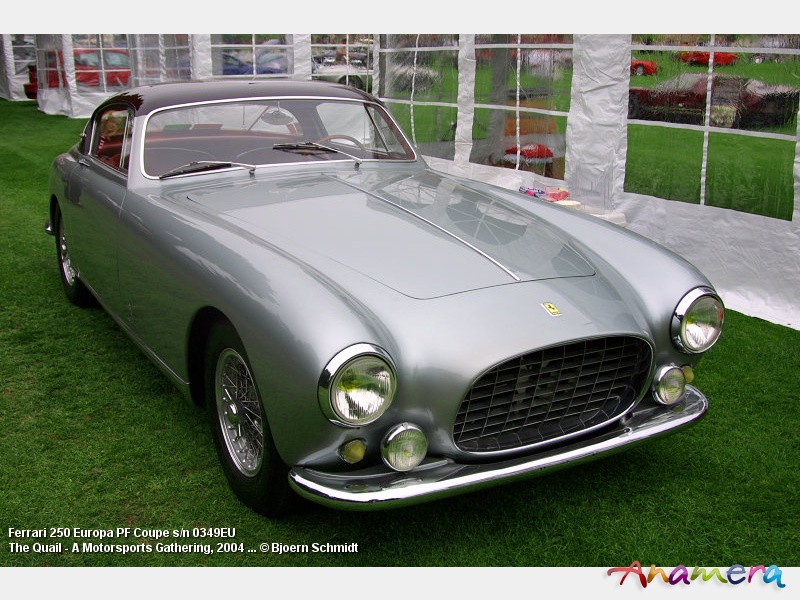 While Ferrari 250 Europa hardly sell for €350.000.- a good Ferrari 250 Europa GT (0417GT) was recently sold within Germany for €750.000.-! 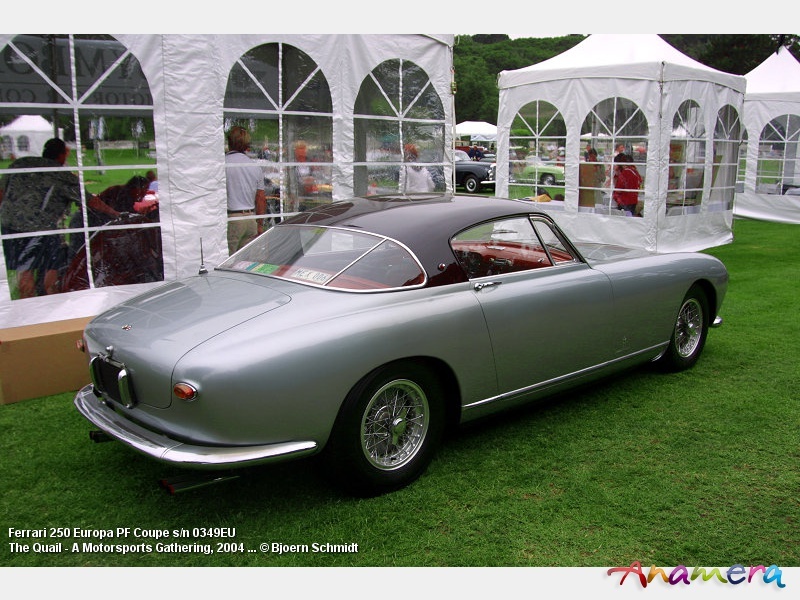 But also Europa prices are on the raise ... 0349EU an original unrestored, matching numbers, certified model has changed stable for €660.000 ~ 880.000 US$.